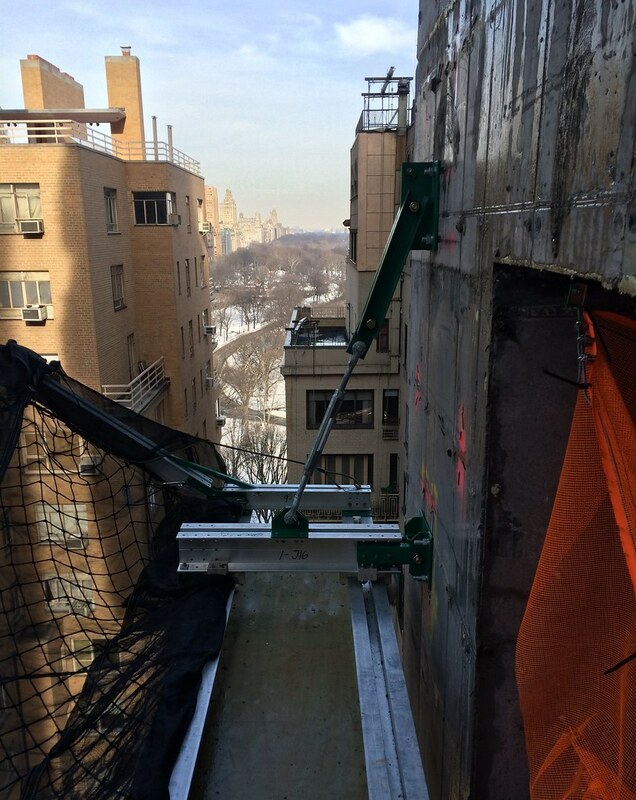 10,000-lb capacity monorail-grid hoisting system unloads trucks at the loading dock. 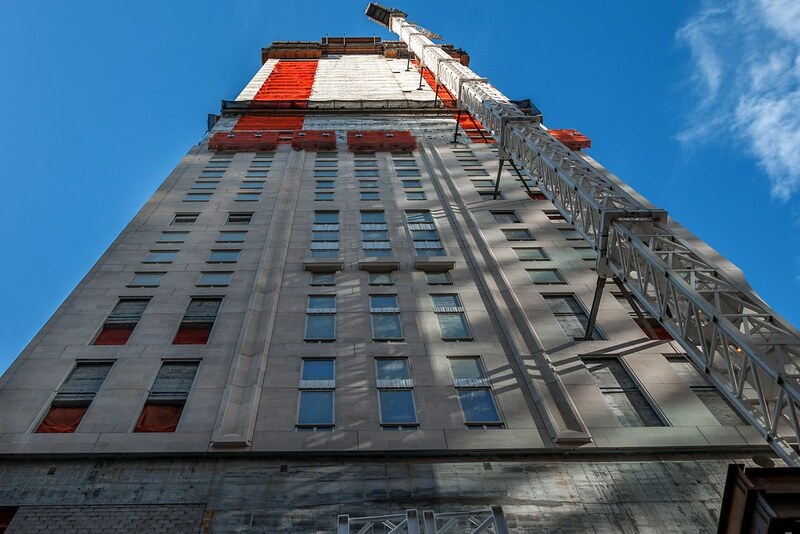 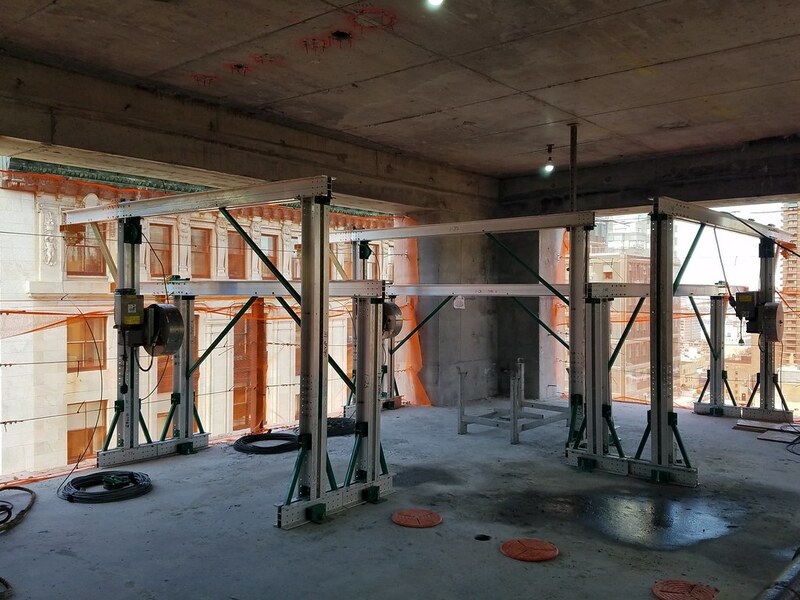 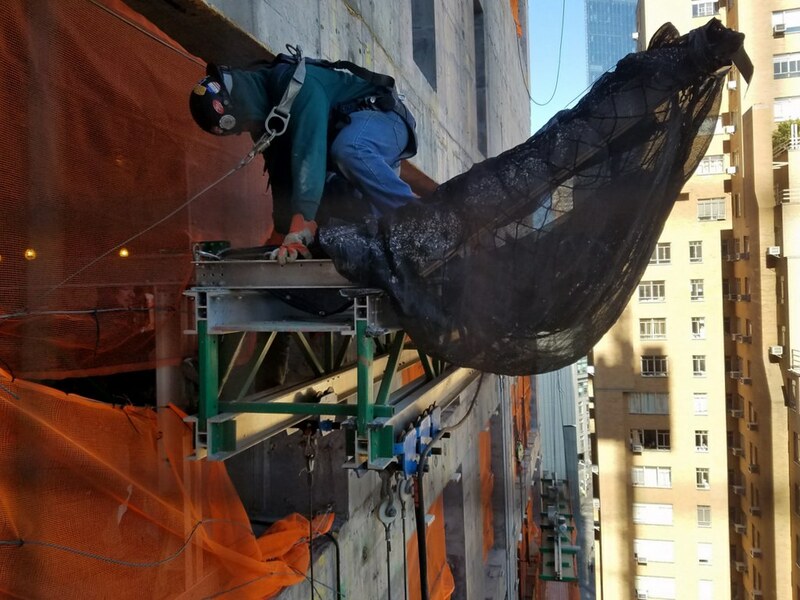 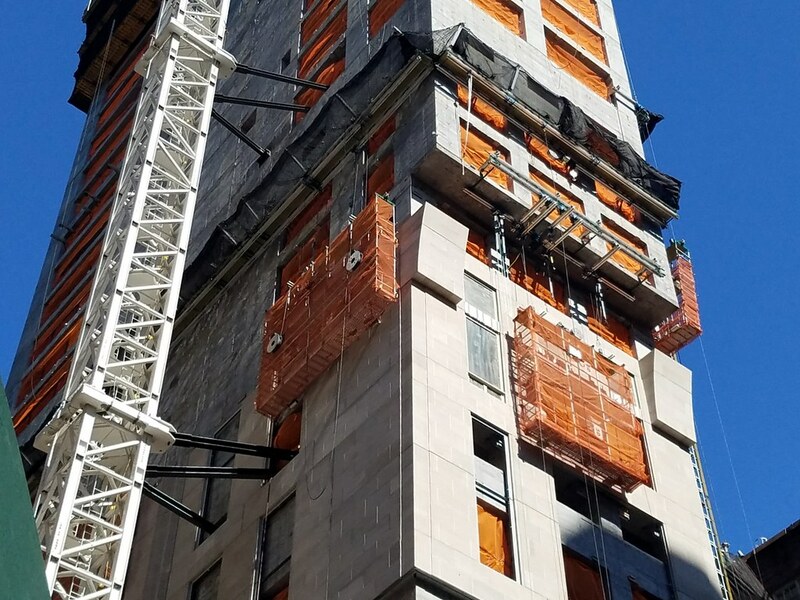 A full perimeter, self-climbing, dual monorail system allows multiple curtainwall panels weighing up to 7,200 lbs each to be installed from a series of 2-tier Work Platforms. 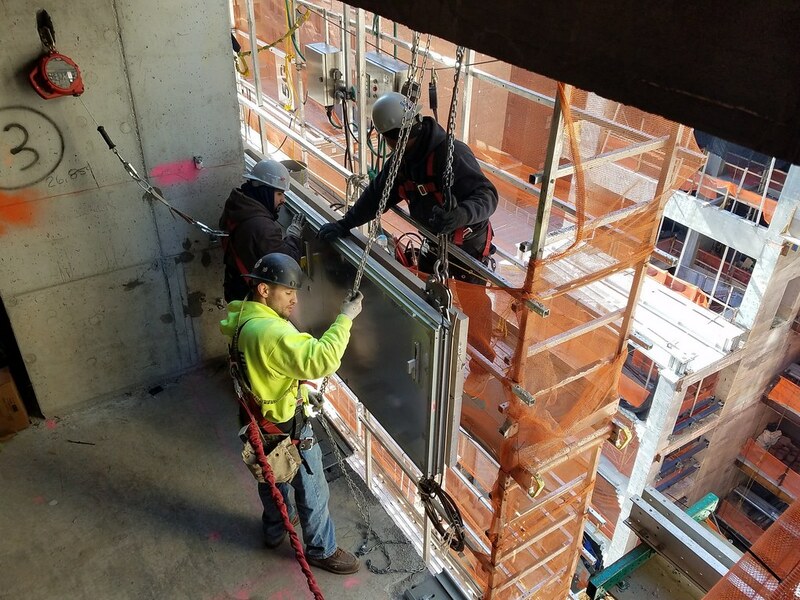 Integral gates on the platforms allow for safe worker access, platform-to-building and platform-to-platform, including around building corners. 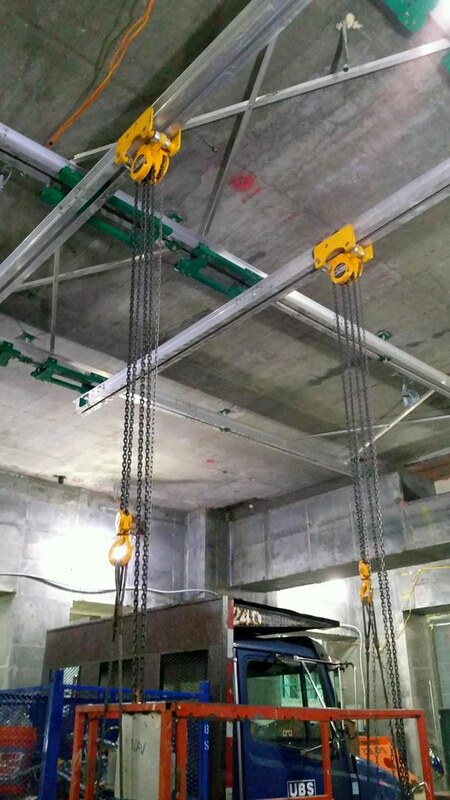 Work Platforms connect below crane ties for full wall access. 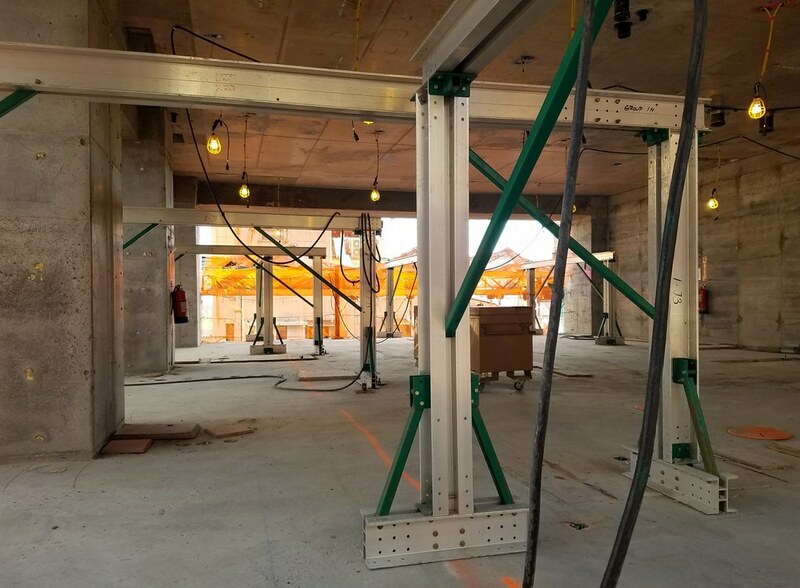 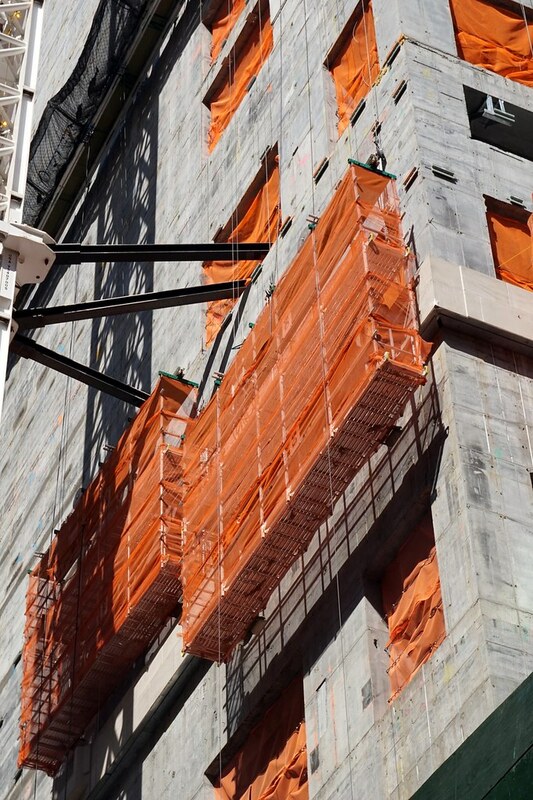 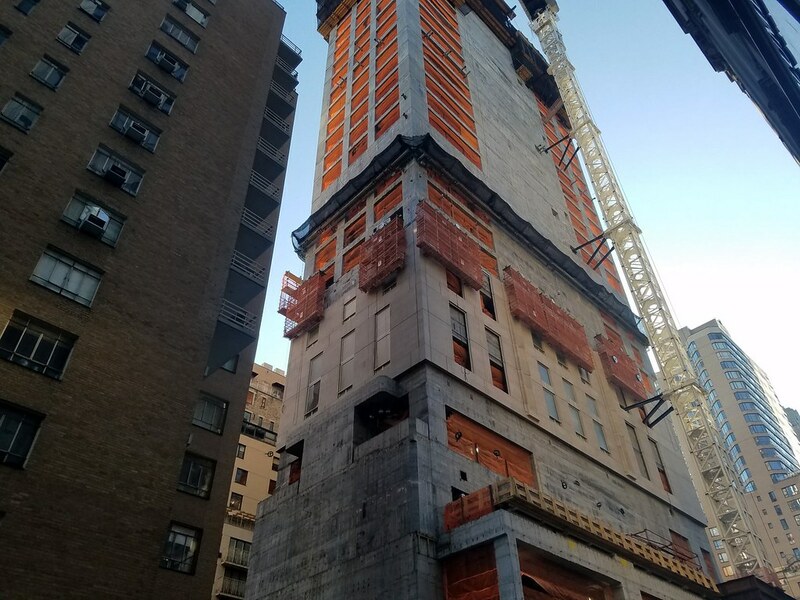 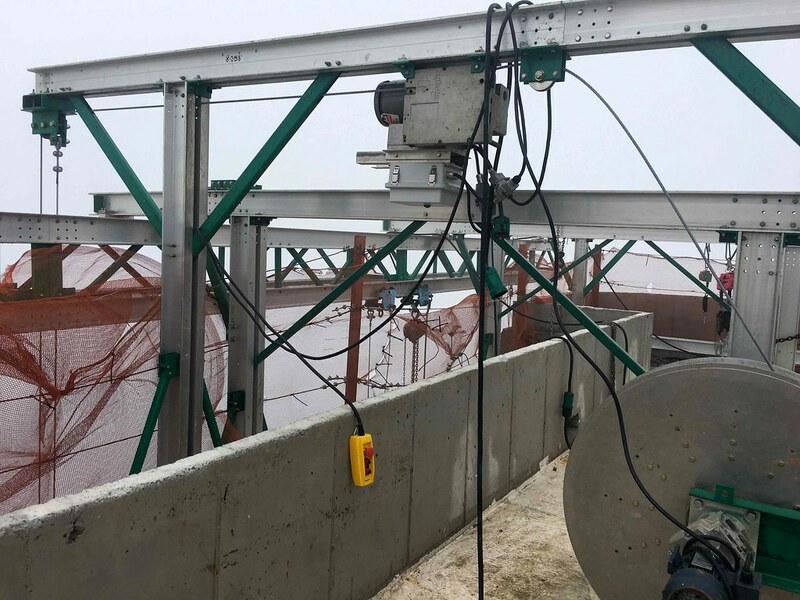 Custom concrete embeds support the monorail systems at key locations, especially at otherwise inaccessible areas such as the south shear wall (no wall openings allowed for a full 50 feet) and the building corners. 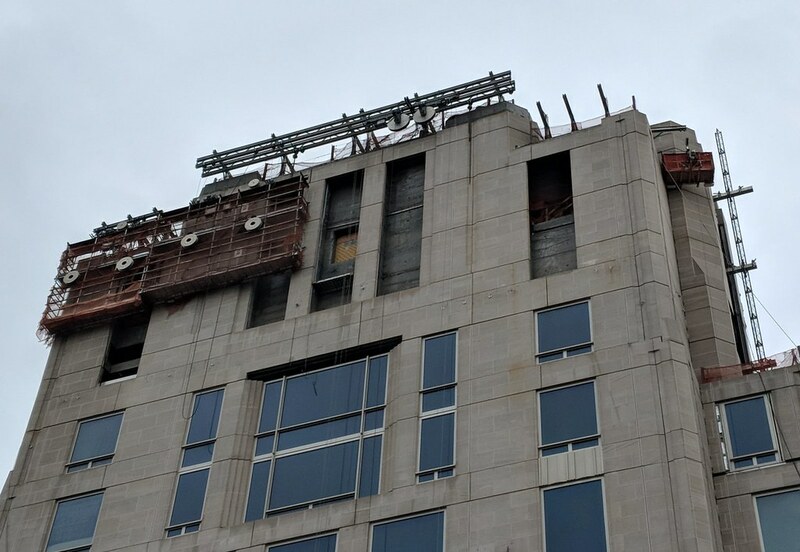 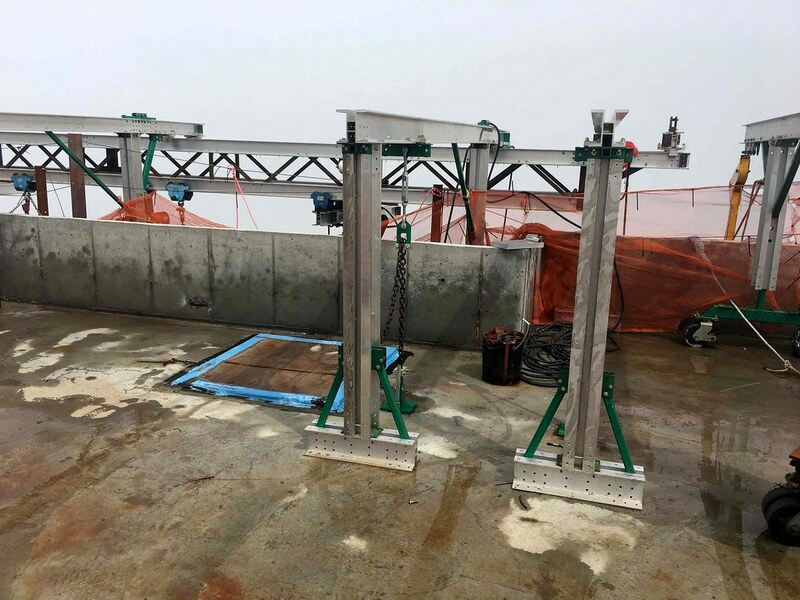 As panel installation work progresses, the self-climbing monorail system with all Work Platforms and panel handling equipment suspended from it, is hoisted to its next setup location higher on the tower, chasing the structural concrete work above. 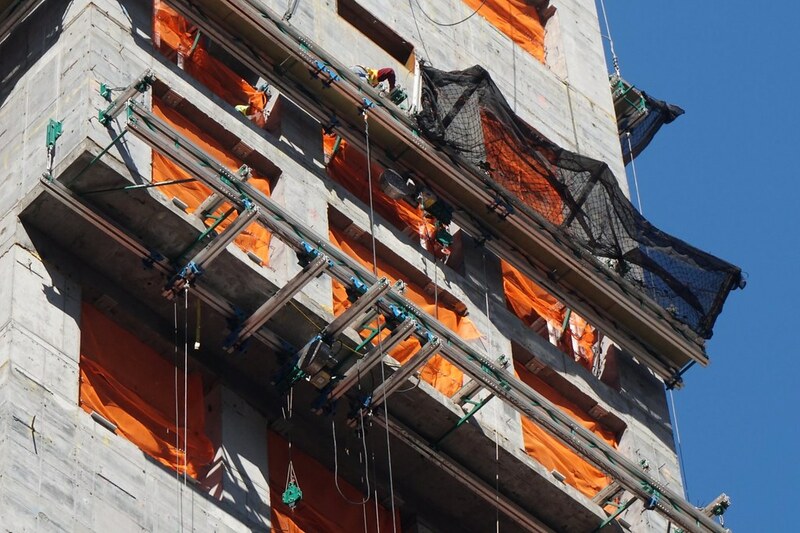 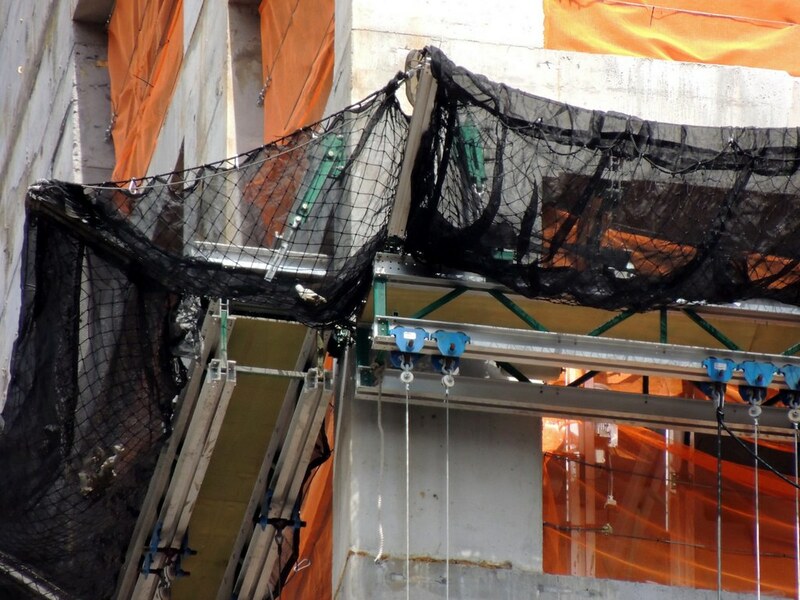 In addition to overhead protection on the Work Platforms themselves, the dual monorail system utilizes integral secondary debris netting and plywood decking, further protecting workers from the possibility of falling materials (this also provides a safe work deck for rigging). 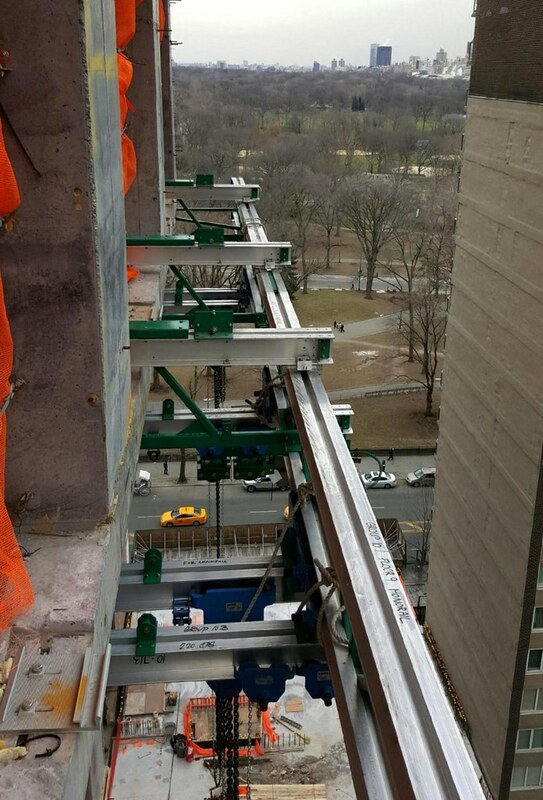 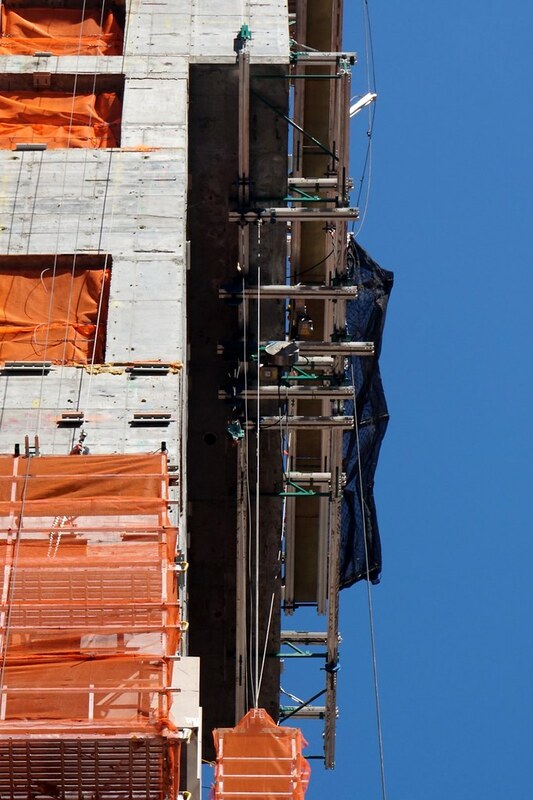 At the tower’s 9th Floor cantilever, a monorail grid is suspended through and beyond the cantilever, creating a fully three dimensional under-soffit Work Access system. 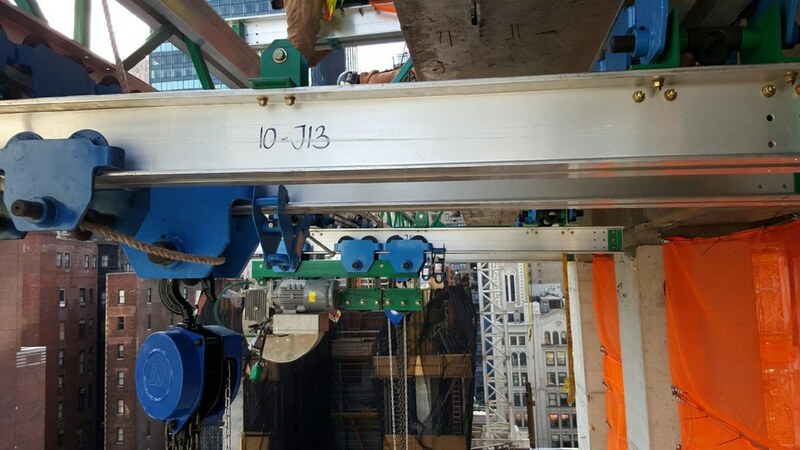 Top-of-house access includes a variety of equipment designs, custom to each specific location where panels are to be installed. 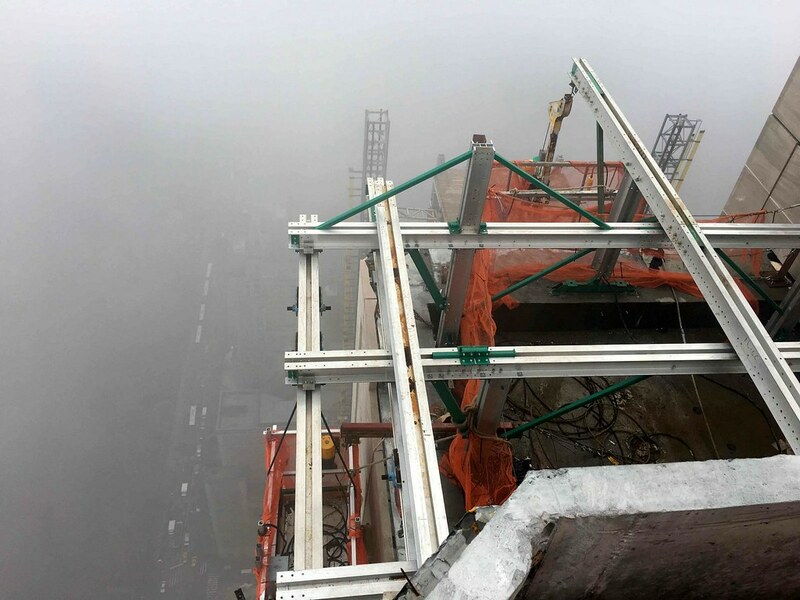 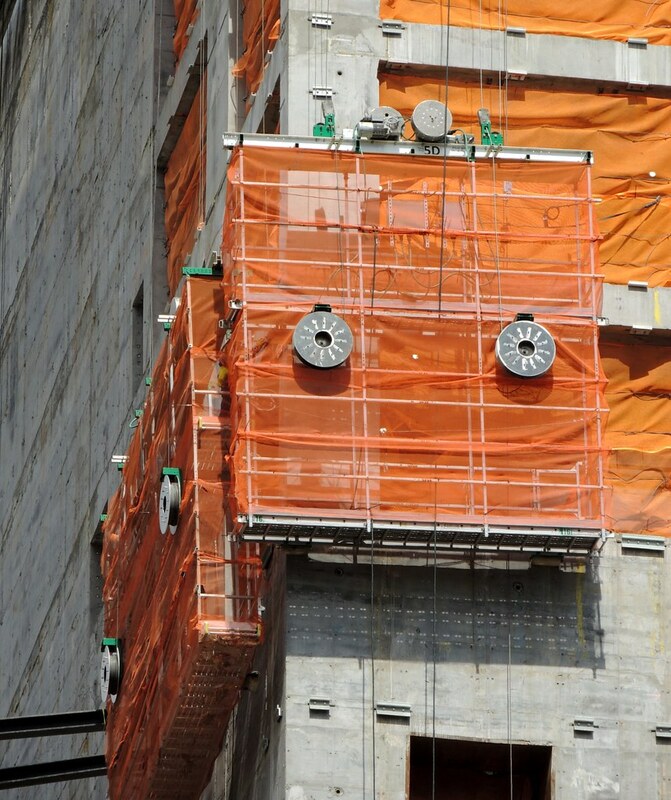 Caulking platforms are suspended from the top of the tower, providing full height wall access down to street level.